January 2015 - Many of our long term members hold bits and pieces of the Club papers/records since we were founded in 1982. These include copies of Minutes of Committee Meetings, Annual General Meetings and published Club Newsletters. It is my intention to gather together as many of these as possible (I borrowed quite a lot from Don Bennett about 6 years ago as I intend(ed) to add some detail to the Club History. My intention now is to add both the History (to the history page) and the race records to this page, watch this space! 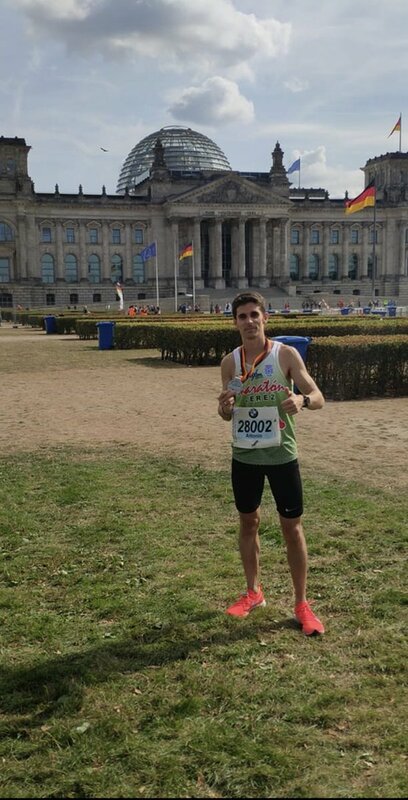 Sunday 16th September 2018 - Antonio Martin Romero breaks his and the ELR Club Record Marathon time in BERLIN in a time of 2:29:29! Antonio Martin Romero - 2.36.23pb -10th in the race overall and a NEW Club Record Time. Results are for London Marathon unless noted otherwise. 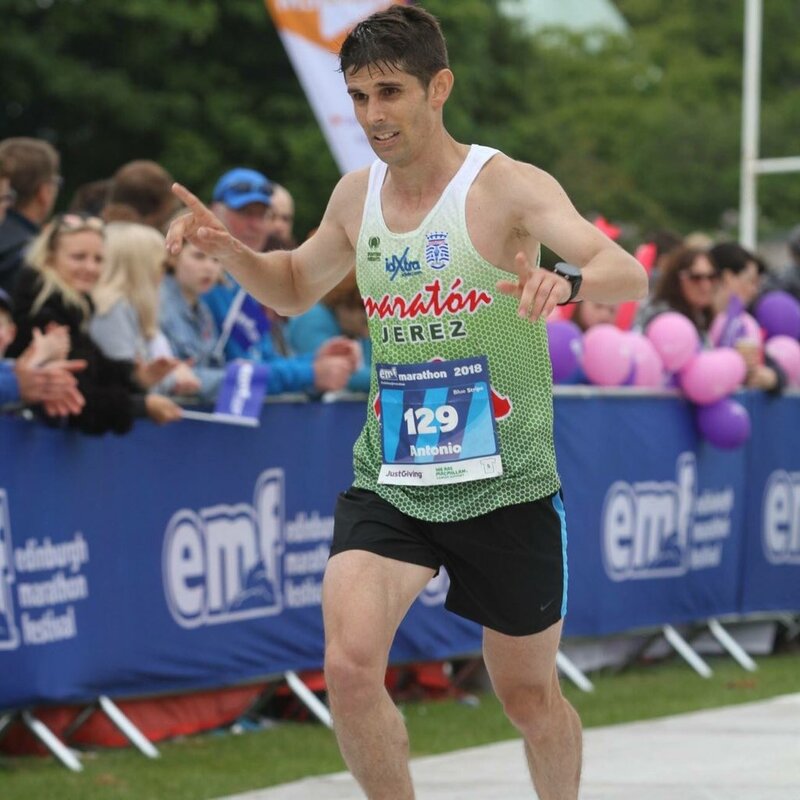 Antonio Martin Romero - 2.36.23pb -10th in the race overall and a NEW Club Record Time - Edinburgh - May 2018. Paul Quinton - 2.44.35 pb by 3 mins - 257th. 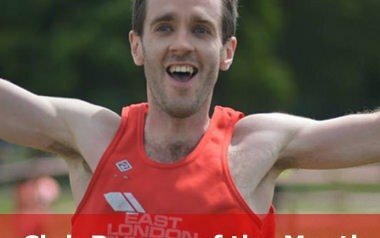 Ciaran Canavan 2:42:00 (79.6%) Berlin. Manjit Bedi 2:49:59 (81.1%) Mablethorpe. Mark Boulton 2:52:19 (73.6%) Berlin. Sean Richardson 2:52:51 Warsaw (73.4%). Danny Lee 2:53:01 (76.7%) Paris. 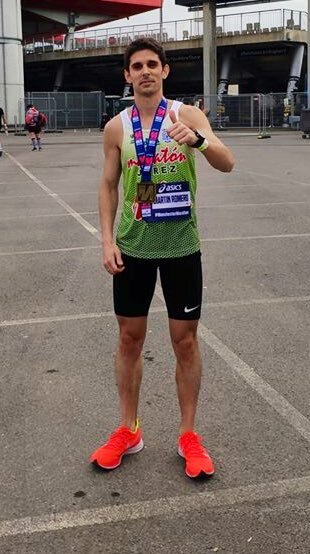 Sam Browne 3:02:59 (69.3%) Manchester. Roisin Archer 3:30:45 (69.2%) Brighton. Emma warburton 3:39:56 (63.1%) Manchester. Jamee Gould 3:43:27 (62.1%) Brighton. Natasha Tweedie 3:49:17 (60.6%) Brighton. Manjit Bedi 2:52:45 (79.48 ) Luton. Ava Lee 3:24:01 (67.23%) Stockholm. Euan Brown 1:15:09 (78.9%) Gt Eastern. Thomas Grimes 1:16:16 (77.7%) Roding Valley. Paul Quinton 1:18:57 (76. (%) Reading. Patrick Brown 1:19:37 (74.4%) Roding V.
Manjit Bedi 1:20:17 (82%) Bristol. Ava Lee 1:29:45 (75%) Greenwich. Phoebe Bowman 1:42:26 St Neotts. Katherine Jones 1:44:59 Royal Parks. Claire Parker 1:45:00 Roding Valley. Sarah Burns 1:45:04 Bexhill Poppy.